When it comes to eyeshadow I'm torn between saying which is my favourite. Mac is amazing for eyeshadows but Urban Decay is more affordable but still provides great quality and pigmentation. I thought today I would blog for those who are swaying about the naked palettes. I have already blogged about the UD naked basics palette but I thought I would compare the UD naked palette in quality, colour and price. 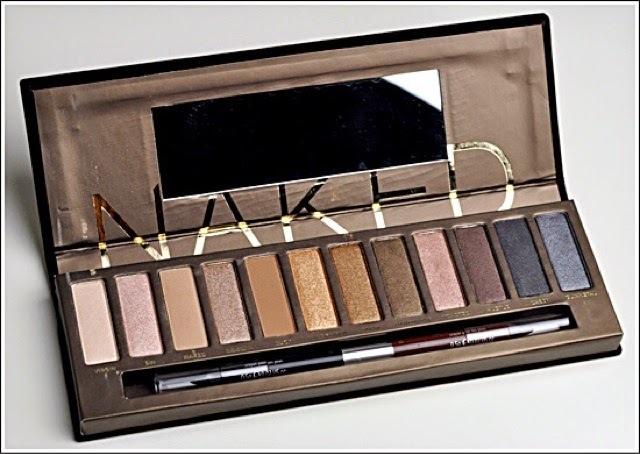 I think the original naked palette is my favourite. I just love neutral, warm toned eyeshadow. So this palette contains 12 eyeshadows. Two of these shades are matte, naked and buck. Buck is one of my favourite shades because it looks so amazing blended into the crease! The remaining 10 are shimmery, satin finishes. Sidecar, the 4 swatch is stunning all over the lids with buck through the crease and winged liner and false lashes! This palette is great because it provides a variety of colours. Whilst this palette is predominately neutral toned, it provides gold, pink and cooler toned shades too! This palette is amazing for travelling as you've got so many shades that you can go to whilst only bringing one palette. I also love how diverse the naked palette is. You can create everyday makeup looks and also evening looks too just by adding the shade creep into the crease for a smokey, more evening appropriate look. This palette is so affordable at only £38! 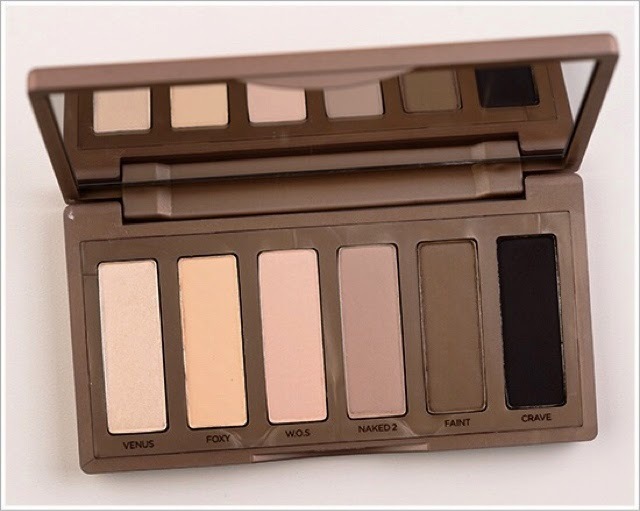 Pictured above is the UD naked basics palette. 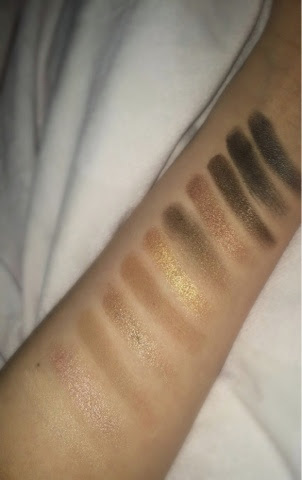 This palette is amazing for both day and night time eye looks. I love this palette for when I'm going away for the weekend! I've already reviewed this so if your interested in an indepth review please check that out! Whilst this palette is amazing, and I'm glad it's in my collection, I personally think that if your swaying between buying this and the original naked palette. I would recommend just buying the original. This is simply because this palette is £22.50 for 6 shades and for £15.50 extra you get 12 shades! I hope everyone has had a good week! Let me know what your favourite palettes are right now!! Right now my favorite palette is the Coast Scents Revealed 2 palette! The shadows are so buttery and pigmented. I'm really into my matte eyeshadow shades now, so the Naked Basics look fab to me! 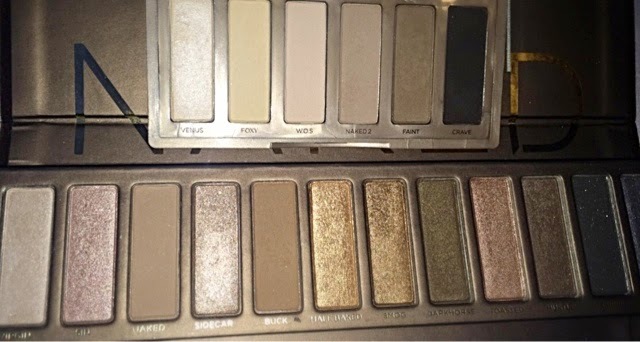 I've had my eye on the UD Naked Basics for awhile now! I feel like it has all of the eyeshadow essentials you really need, and it can be a supplement to any other eyeshadow single/palette. Right now I'm loving the Benefit Bright Eyes palette for everyday!